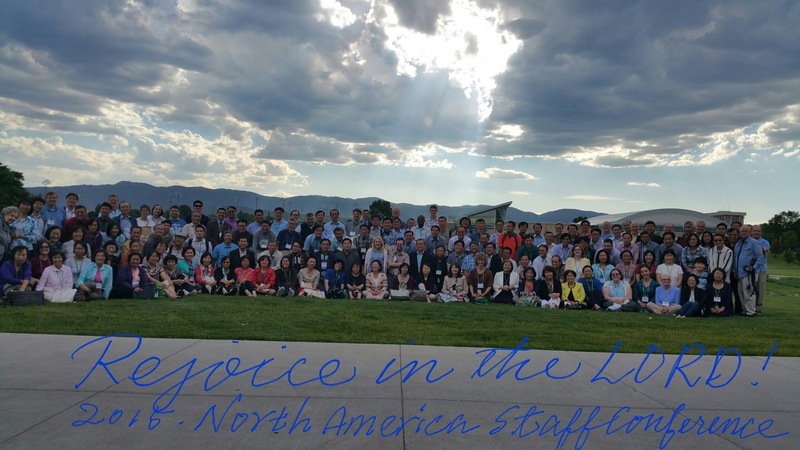 Thank you for praying for NA staff conference. God blessed around 160 North America staff from 110 chapters of Canada and USA from June 18-20 at the beautiful, spacious and quiet Colorado State University which is located an hour and a half hours away from the Denver airport. We saw some parts of Rocky Mountains, vast green fields and clear sky with magnificent pictures of the clouds. The high lights of this conference were: The intensive Bible Study of the whole book of Philippians to learn “The surpassing knowledge of Christ Jesus” to prepare 2016 school year in 5 Group Bible studies. We also had 5 plenary sessions to listen to the 6 messengers (David Miller, Philip Wong, John Baek, Russel Kille, Helen Rarick and one special outside lecturer pastor Stephen Lutz), 3 Chapter reports: Miami, West LA, Humber (Canada) and 3 mission reports (Dr. William Altobar (Philippines), Paul Kim (Chun Cheon, Korea), Isaac Choi (Kangreung, Korea). Edward P was introduced as a NA conference coordinator to succeed Mark VC who had served last 30 years. Edward gave a video presentation about the next NA international conference-place-candidate. We prepared prayer topics for NA and 6 continents so that NA staff serve not only their own ministries but also world mission by praying and raising shepherds and missionaries to the whole world. Tomorrow morning we will share testimonies and another plenary and will finish with P. Abraham Kim's Prayer topics and announcement. Here is the good news of Sara (Portugal) and Thapelo (South Africa) by M. James Lee. There was the Wedding Ceremony between Sh. Thapelo and Sh. Sara Neusa at our Bible House on 13 June 2015. The guests came from Portugal and Botswana and from all other chapters in South Africa. We could share together the vision to pioneer many other African nations bringing to them the word of God. Sh. Sara Neusa is from Portugal UBF, and she has the vision to study Bible with the youth of Mozambique after marrying to Sh. Thapelo. Sh. Thapelo has the plan to stay with his bride in Portugal for six month period in order to study the Portuguese language, because Mozambique people speak Portuguese. Afterward the couple will move to Mozambique for campus mission. It is the historical event because Portugal UBF sent a shepherdess to Africa, and to raise a house church with a shepherd from Pretoria UBF, South Africa. It is God's wonderful work that Sara Neusa made up the decision to build up the House Church with our member and then go to another country in Africa to pioneer. Missionary Daniel Rhee officiated this marriage based on Genesis "Go, walk through the length and breadth of the land, for I am giving it to you." The word encouraged us to carry on the work of God in Africa. Thank you for all your prayers and other supports. In Job 42, Job said "My ears have heard of you, but now that my eyes have seen you, I despise myself, and repent in dust and ashes." 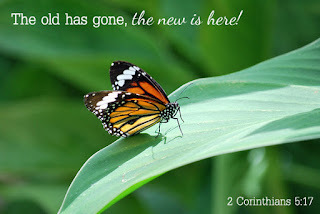 From this day on Job could live a new life in the Lord, just as was said, "If anyone is in Christ, he is a new creation; the old is gone; the new is come."